Kids transform into mini Astronomers! 2 freebies from Austin Kids and Girl Start (both featured above). 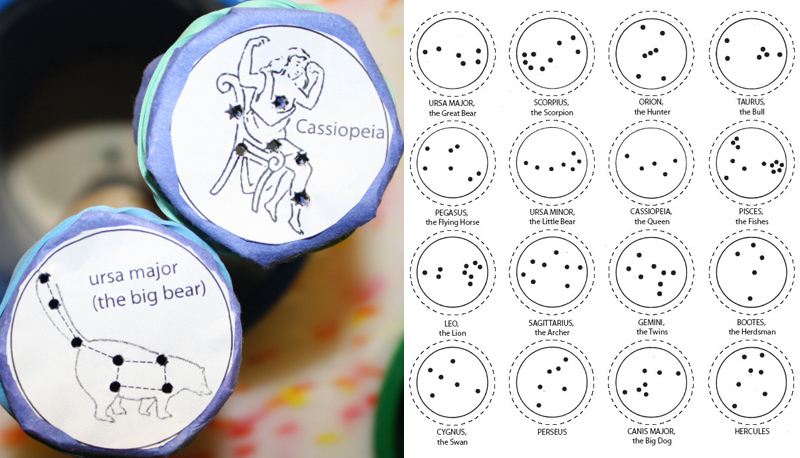 Stick the printable templates over a flashlight, turn off the lights, and go stargazing indoors! Also, check out Moon Phase Viewer and Cloud Viewer! This is awesome, I love your site!! We just finished up learning about planets and the moon...this will be a great enrichment activity, thank you.